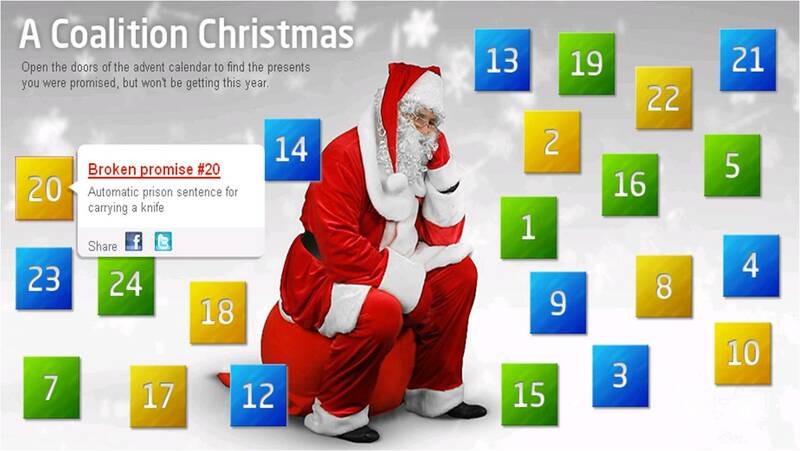 The Labour Party have created an advent calendar that highlights all the policy promises that the Lib Dems and Tory’s made to the electorate during this year’s general election that have since been dropped. Every day of December a new policy is revealed. It’s a slightly gloomy piece of communication. Why the Labour Party wants to take such a miserable tone of voice around the Christmas holidays is beyond me. I understand that they want to talk about broken promises, but even those affected badly by the cuts won’t want a daily dose of depression during a time of cheer and celebration.